Most companies have the processes and visibility at the back-end order and process stage of their businesses but lack on the front end. SalesProcess360 helps industrial sales companies (reps/distributors/manufacturers) put in place processes at the front end of the sales cycle for lead and opportunity management. We believe this is critical to growing your business and an area that can give companies a competitive edge in today’s market. We have a 3- to 6-month program that is focused on the basic blocking and tackling processes that we have found most companies do not have in place that they need to get to the next level in their business. Our goal after 3 to 6 months is to turn the program over to the sales and management team. This is not a “quick and get rich” scheme or “Rah- Rah” session. This is a proven sale-focused process that has worked for many companies. 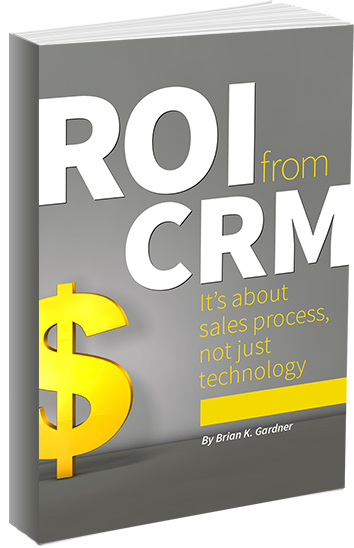 We will work with your current sales team system (CRM) or recommend one that will be a fit for your business. SalesProcess360 also offers Industrial Sales Management Peer Groups, as well as speaking and seminars on sales process and CRM.